Khloé Kardashian usually steals the limelight for her next-level organization skills, but new images of Kourtney's walk-in pantry reveal that the older sister has a knack for storage, too. In an article for her eponymous website, Kourtney explains her interest in organization started when she had her first son, Mason. "The way I organize my pantry is partly because I like how it looks, but also because food storage is important to your health," the reality star says. "When I had Mason, I got really into researching the safest way to store food (and serve food, which is why I only use stainless steel plates and cups for the kids)." The result? An impeccable, well-organized space that looks straight out of Whole Foods. Take a look inside Kourtney's insanely organized pantry, and try her top three storage hacks to style your own. Each item has a specific storage spot in the pantry. 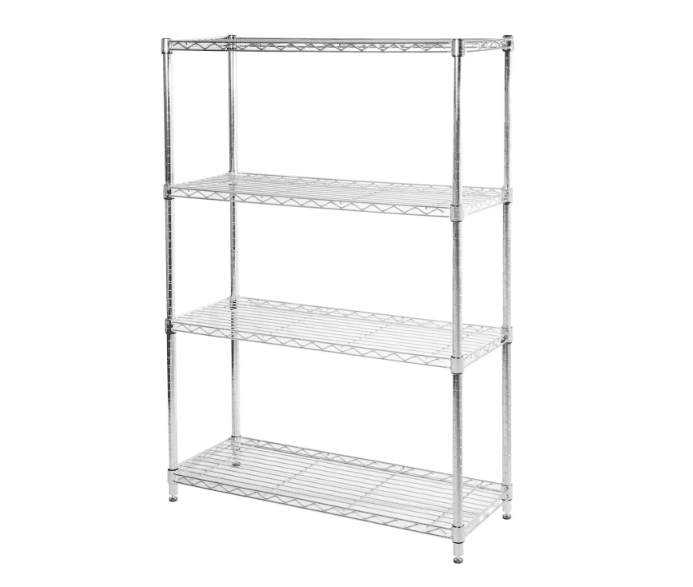 "I lined the pantry with industrial stainless steel baker racks and shelves. I always keep the healthy snacks on the bottom rack so the kids can reach them," she says. 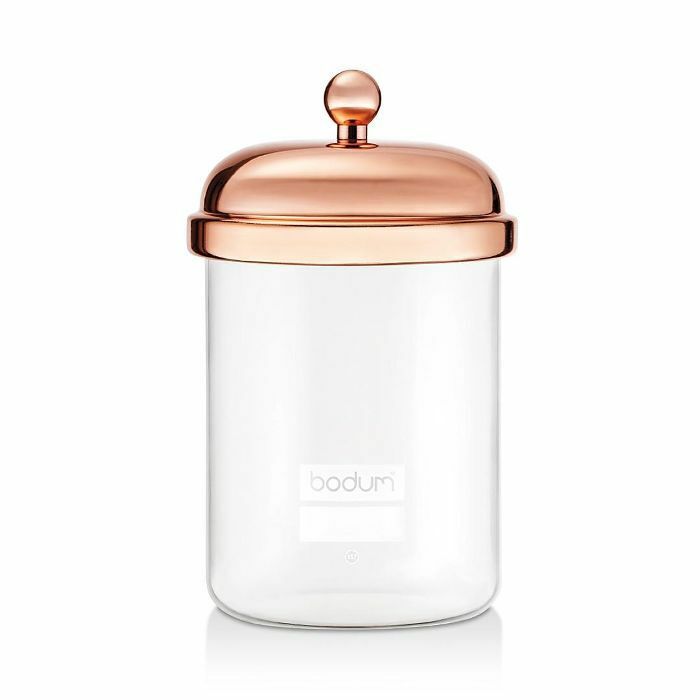 "I try to avoid having plastic in the house, so when we get new cereal, rice, grains, sugar or flour, I transfer everything into these glass jars," Kourtney says. "Since food can absorb harmful toxins from being stored in plastic containers, I keep a large stock of glass and stainless steel vessels in the house." Before she tosses plastic packaging, Kourtney makes note of the expiration date so she knows when to replace food. "I put stickers on the bottom of each canister labeled with the expiration date so I can make sure the pantry is always stocked with fresh food," she says. "I also use a P-Touch label maker to clearly label each glass jar." 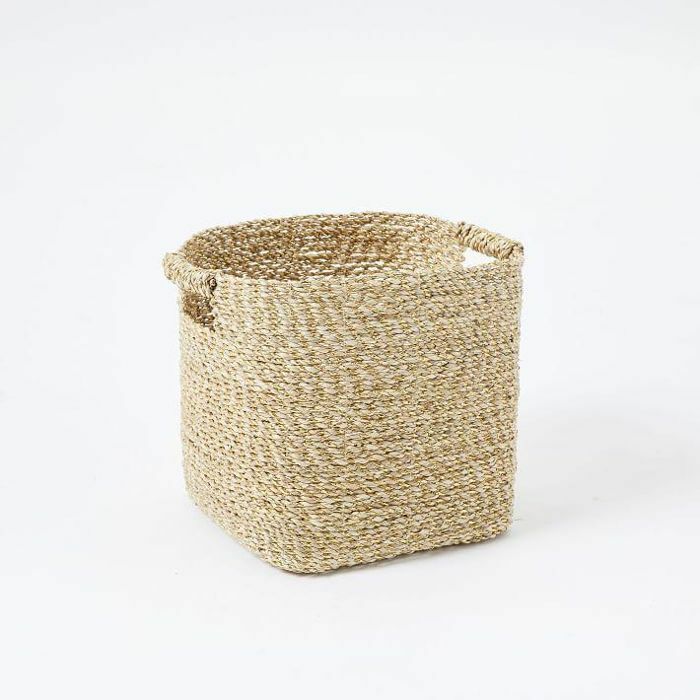 "Woven fiber baskets are a great way to keep chips, small bags, bottles and baking supplies organized," Kourtney says. She uses West Elm baskets to "make the space look uniform and give the overall pantry a really clean vibe." "We keep back stock in these bins and they are all labeled into sections: salty snacks, sweet snacks, breakfast, spices, seasonings & oils, condiments, baking supplies (with sugar, flour, etc.) and tea. I also keep one filled with foil, wax paper, plastic wrap and different sizes of resealable bags." Think Kourtney Kardashian's pantry is organized? See how sister Khloé's compares.